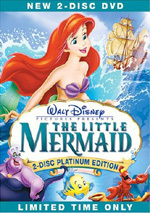 Disney celebrates a modern-day classic from the directors of The Little Mermaid and Aladdin. Discover what really happened after the princess kissed the frog in an inspired twist on the world's most famous kiss. This hilarious adventure leaps off the screen with stunning animation, irresistible music and an unforgettable cast of characters. Enter Princess Tiana's world of talking frogs, singing alligators and lovesick fireflies as she embarks on an incredible journey through the mystical bayous of Louisiana. Spurred on by a little bit of courage and a great big dream, these new friends come to realize what's truly important in life ... love, family and friendship. Overflowing with humor and heart, The Princess and the Frog is an incredible motion picture experience your whole family will want to enjoy again and again! $786.190 thousand on 2 screens. Disney animation puts a new twist on an old story with 2009’s The Princess and the Frog. Set in 1920s New Orleans, Tiana (voiced by Anika Noni Rose) works multiple waitress jobs so she can save enough money to start a restaurant of her own. Her wealthy best friend Charlotte (Jennifer Cody) wants nothing other than to marry a prince. Charlotte gets her chance when Prince Naveen (Bruno Campos) of Maldonia comes to town. However, matters take an odd turn when Naveen and his assistant Lawrence (Peter Bartlett) visit voodoo man Dr. Facilier (Keith David). Facilier transforms Naveen into a frog and makes Lawrence resemble the prince, all as part of his own plot to eventually become the ruler of New Orleans. In froggie form, Naveen comes across Tiana. Done up with a tiara at Charlotte’s party, Naveen thinks she’s a princess and her kiss will restore him to human form. Nope. Though he convinces her to smooch him, this has a negative side effect: Tiana turns into a frog as well. They go on a quest to find voodoo practitioner Mama Odie (Jenifer Lewis) in the hope that she’ll help them. A few years into the new century, Disney abandoned their bread and butter: hand-drawn animation. Computer cartoons were – and still are – all the rage, while the expensive cel-based flicks tended to struggle at the box office. Company heritage be damned – hand animation got the boot. While I happily applaud the return of traditional animation, Frog comes as a mild disappointment. I think it entertains and has a lot to offer, but it doesn’t approach the levels of the studio’s best work. And I don’t just mean “Golden Age” classics like Snow White and Pinocchio; Frog also failed to compare with Disney’s better works from the 1990s. It tries hard to evoke those, however. Rather than expand the format into a new era, Frog feels a great deal like something that could’ve come out 15 years earlier. No, it doesn’t suffer from dated humor or references; it’ll age just fine in terms of its content. Nonetheless, it seems stuck in a time warp, as Frog never delivers style that distinguishes it from its 90s brethren. Again, it’s not something suited only for a time capsule, but I wish it’d tried harder to create something new; the movie's just too wrapped up in the same feel as its 1990s predecessors. The biggest difference here comes from the race of its lead. As publicists have happily told us over and over, Frog features the studio’s first African-American lead. That’s a nice little piece of progressive casting, but it feels a bit disingenuous because Frog doesn’t allow Tiana to actually look black very much of the time. She spends so much of the movie as a frog that her race becomes essentially irrelevant. And maybe a little insulting. What does it say to the studio’s African-American audience that they finally provide a black lead character but present her as a frog much of the time? I don’t think Disney did this as an intentional slight, but it makes the progressive side of things less impressive. It doesn’t help that the film features A Hero of Ambiguous Race. Naveen comes from a fictitious nation and boasts uncertain heritage. However, it’s clear he’s not African, and I think that undercuts the concept of the black lead character. Sure, it’s nice that there’s finally an African-American Disney princess, but wouldn’t it have been more forward-looking if she ended up with a black prince? Maybe black audiences should be most bothered by the fairly generic feel to Frog. Though based on a fairy tale, it usually comes across like a riff on The Wizard of Oz, and not an especially memorable one. The movie gives us just enough fun and charm to entertain us, but it lacks the real spark to go beyond that. All of this leaves Frog as a moderate disappointment. I really looked forward to it, and I hoped it’d mark a glorious return to form for Disney’s traditional animation department. Instead, it offered a reasonably enjoyable fable that lacked much to make it stand out from the crowd. This is a likable but somewhat forgettable flick. 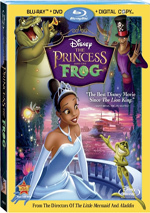 The Princess and the Frog appears in an aspect ratio of approximately 1.78:1 on this Blu-Ray Disc. Across the board, the movie looked great. Sharpness looked virtually immaculate. At all times, the flick seemed crisp and well-defined, with no notable instances of softness on display. Jaggies and shimmering remained absent, and I noticed no signs of edge haloes. Source flaws played no role here, as the film stayed clean and fresh. Colors became a strength. Frog boasted a broad, dynamic palette and the hues always dazzled. The various tones were consistently lively and really sumptuous. Blacks looked dark and tight, and shadows demonstrated good clarity and smoothness. I felt very pleased with this terrific transfer. Frog also provided a pretty strong DTS-HD MA 5.1 soundtrack. Much of the movie favored the front channels, but the mix opened up well when appropriate. The voodoo sequences provided the most active elements. Music always demonstrated positive stereo imaging, and the effects created a realistic and involving sense of atmosphere. When the action heated up, the surrounds added a fine layer of material that contributed some lively and engaging audio. Audio quality seemed very positive. Dialogue always came across as natural and warm, and I detected no concerns related to edginess or intelligibility. Music appeared bright and dynamic, with concise highs and rich lows. Effects also were tight and realistic. Those elements betrayed no distortion, as they consistently appeared clean and accurate. The effects provided some strong bass response as well. The track wasn’t quite active enough for “A”-level consideration, but it became a solid “B+”. We get a nice mix of extras here. 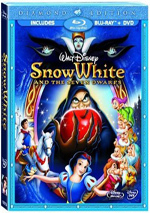 These open with an audio commentary from co-writers/director Ron Clements and John Musker and producer Peter Del Vecho. All three sit together for this running, screen-specific look at the film’s development, cast and performances, story and character areas, sound and music, art and animation, research and the use of New Orleans, and a few other topics. From start to finish, the filmmakers offer a terrific little commentary. They jump into the flick with gusto and cover a wide variety of useful subjects. Expect to learn a ton about the movie’s creation in this fine chat. Deleted Scenes fill a total of 11 minutes, 43 seconds (including filmmaker intros). We find “Advice from Mama” (1:36), “Alternate Louis Introduction” (4:46), “Stop and Smell the Roses” (3:20) and “Naveen Confides in Ray” (1:54). These all come in story reel form; no final animation pops up, though a smidgen of rough animation appears. “Advice” feels redundant, as it just reinforces Tiana’s all work, no play nature and her mother’s desire for her to marry. “Louis” eliminates a little of the character’s perceived menace; I think the final version works better, but this one’s fine as well. “Roses” gives us more interaction among Tiana, Naveen, Ray and Louis; like “Advice”, the clip just stresses character traits that we already understand, so it’s fun but unnecessary. Finally, “Confides” develops Naveen’s growing feelings for Tiana. Once again, it proves enjoyable but redundant. We get a Music Video for “Never Knew I Needed” by Ne-Yo. The song’s okay but forgettable, and the video isn’t much more interesting. However, it does avoid the standard “lip-synch combined with movie clips” format typical for tunes from films. In fact, the video’s New Orleans-set story reflects the flick but works on its own; it’s not fascinating, but it’s better than expected. Under Bringing Life to Animation, we find three segments that occupy a total of eight minutes, eight seconds. There’s an “Introduction” (1:08) from Musker and Clements as well as two other bits, both with director commentary: “Dig a Little Deeper” (4:38) and “The Proposal” (2:22). This shows live-action reference footage used to assist the animators; we also see the relevant shots from the movie. This is a cool way to examine the use of live-action film in the animation process. Seven featurettes follow. 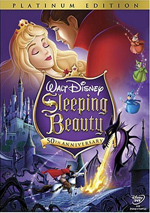 Magic in the Bayou: The Making of a Princess goes for 22 minutes, 11 seconds and includes Clements, Musker, Del Vecho, executive producer John Lasseter, story supervisor Don Hall, co-art director Mike Gabriel, writer Rob Edwards, art director Ian Gooding, composer Randy Newman, choreographer Betsy Baytos, supervising animators Bruce Smith, Randy Haycock, Marlon West, Anthony DeRosa, Mark Henn, and Andreas Deja and actors Anika Noni Rose, Jenifer Lewis, and Terrence Howard. “Magic” looks at the film’s development and the return of hand-drawn animation, story topics, characters and their design, cast and performances, research and the use of New Orleans, art and visuals, music and choreography, and animation styles. Because the commentary covered so much territory, redundant material becomes inevitable here. Nonetheless, “Magic” manages to provide a reasonable amount of new information. Background footage helps illuminate various topics, and the additional participants contribute fresh perspectives. “Magic” becomes a good recap of many production areas. During the two-minute, 43-second The Return to Hand Drawn Animation, we hear from Musker, Clements, Deja, Smith, Lasseter and animator Mike Surrey. Essentially all involved just tell us how happy they are to be doing cell animation again. It’s a superfluous piece. Next comes The Disney Legacy. In this two-minute, 31-second clip, we get material from Smith, Deja, Henn, Clements, Musker, and animator Eric Goldberg. The animators talk about experiences with artists from Disney’s golden age. While not an especially informative piece, I like its respect for history. We look at the title character in Disney’s Newest Princess. The two-minute, 51-second reel features Clements, Musker, Henn, Rose, Lasseter, Edwards, Lewis, Del Vecho and Howard. The show just gives us a quick character recap for Tiana and some notes about Rose. Other than a couple short shots of the actors in the studio, this is a generic piece that doesn’t tell us anything interesting. The Princess and the Animator lasts two minutes, 26 seconds and presents Henn, Clements, and Musker. It tells us about Henn’s fondness for animating Disney princesses and tells us a little about the Tiana role and Rose. It’s another fairly uninformative clip. After this we get Conjuring the Villain. It fills one minute, 50 seconds with notes from Smith and actor Keith David. “Villain” looks at aspects of the Dr. Facilier character. Like its predecessors, it fails to deliver much content, though we get a couple of interesting behind the scenes shots. Lastly, A Return to the Animated Musical runs three minutes, 13 seconds as it includes info from Musker, Clements, Edwards, Lasseter, Del Vecho, Newman, Lewis, Rose, and actors Jim Cummings and Bruno Campos. “Return” looks at the flick’s music. It throws out a few decent notes but not a whole lot of depth. Art Galleries split into four areas. We find “Visual Development” (166 stills), “Character Design” (109 images across six sections), “Layouts and Backgrounds” (16) and “Storyboard Art” (54). Expect a lot of interesting sketches and paintings here. Like most Disney releases, Frog offers a game. What Do You See: Princess Portraits shows firefly images of various Disney princesses; you choose from six options. It’s not a barrel of fun, but it’s more engaging than most Disney games. At the end, you get to hear various princess stories as told by the Mama Odie character; that’s kind of a neat bonus. A few ads open the disc. We get clips for Beauty and the Beast, Toy Story 3, an unnamed Rapunzel flick, Toy Story and Toy Story 2. Except for Rapunzel, these also appear under Sneak Peeks along with promos for Genuine Treasure: Tinker Bell, Tinker Bell and the Great Fairy Treasure, Fantasia/Fantasia 2000, Disney Parks, Disney Movie Rewards, Old Dogs and James and the Giant Peach. A second disc offers a DVD Copy of Frog. This offers the same single-DVD version available on store shelves, so it comes with a few extras. If you want to own Frog but aren’t yet Blu-ray capable, it’s a good bonus. Finally, a third platter provides a Digital Copy of the movie. This allows you to transfer the film to a computer or portable gadget. Yay? With The Princess and the Frog, Disney comes back to traditional animation for the first time in years. I wish I could regard this as a Triumphant Return, but instead, it’s just a Pretty Decent Return. The film entertains well enough, but it lacks real magic. The Blu-ray provides excellent visuals, very nice audio and a good roster of extras highlighted by a terrific audio commentary. Though this isn’t a classic, Frog is entertaining enough for me to recommend it to Disney fans.